What about something you can wear to discreetly carry all your tech toys? My all-time favorite manufacturer of clothing to house your electronics is Scottevest. 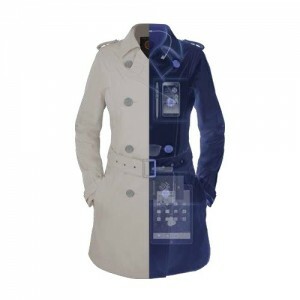 The women’s trench coat boasts 18 pockets to house everything from your cellphone to your tablet to your water bottle to a collar that integrates your headset.